For the UN climate conference in Bonn the bear to worry about was not Polar, but Russian. In the final minutes of COP 18, the UN climate talks in Doha, Qatari vice prime minister Abdullah bin Hamad al-Attiyah brought down the gavel — ending the COP and snubbing delegates of nations waiting to speak. Among them was the Russian delegation which was frantically waving papers in the air demanding to be recognized. Russia has neither forgiven, nor forgotten. When the UN climate talks opened in Bonn last week, Russia, joined by Ukraine and Belarus, blocked adoption of the agenda of the “Subsidiary Body for Implementation” (SBI). The SBI is the key negotiating track towards signing a UN climate treaty in Paris in 2015. The SBI has been unable to conduct any business in Bonn and has announced that it has suspended its business. This has prevented the UN from considering, among other items, advancing the loss and damage mechanism (see CFACT’s report) that was perhaps the most significant outcome agreed to in Doha. Many developing nations are not happy at seeing “loss and damage” blocked, as it is a key pathway for those seeking a global warming route to wealth redistribution. 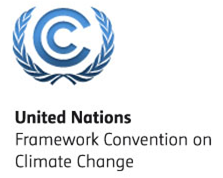 If the UNFCCC successfully gets its climate treaty in Paris in 2015, the treaty will govern a tremendous portion of the economic activity of all mankind. Not billions, but trillions of dollars will be at stake. Nations will subordinate major portions of their sovereignty to the United Nations. Aside from whether the climate treaty is wise (it is not), can such a thing be created without due process? Without a vote? This would seem to contravene the principles upon which the UN was founded. Those who stand for individual freedom and the due process which protects it owe Russia their thanks. Russia’s actions, however, appear to be largely self motivated. When al-Attiyah gaveled Russia down in Doha he wounded Russian pride — something Russia is historically willing to fight for. A larger Russian motivation, however, appears to be what is being called in Bonn the “hot air” issue. Russia was not at all pleased when the UN COP pulled the plug in Doha on all the emissions credits Russia had acquired under the first Kyoto treaty and told Russia it couldn’t carry them forward. Russia, which has announced that it will not be part of a second commitment period for the Kyoto protocol and has signaled a reluctance to sign on in Paris, wants to keep its credits anyway. Russia would like to sell its old credits to the countries which do sign aboard and would be paid effectively for nothing but hot air. European carbon markets have recently collapsed with the price of carbon hitting record lows. The UNFCCC believes that allowing Russia, Ukraine, Poland and other former Soviet bloc nations to retain the huge stockpile of carbon credits they picked up under Kyoto would relentlessly flood and depress the carbon market in perpetuity. The irony is that in effect, the former Eastern bloc nations are claiming credit and demanding compensation for Communism, which depressed their economic development. Many of the former Eastern bloc’s carbon credits accrued during their painful transition from Communism which temporarily depressed their economies still further. If any compensation is due for the harms caused by Communism, Russia should be paying, not receiving. Poland, which will host UN COP 19 in November, has approximately 500m tons of carbon credits which it refuses to part with. Poland generates much of its power from coal and would like to use those credits both to offset the emissions from its use of coal and to continue to sell to other nations. Poland is estimated to have sold €190 million in credits to nations including Japan, Ireland and Spain. Poland was a victim of Communism. Should Russia and the other nations of the former Soviet Union truly be compensated for the economic destruction wreaked by Communism? The absurdity of how money changes hands through UN processes apparently knows no bounds. The good news is that the treaty negotiating track at the UN climate talks in Bonn is temporarily suspended, although Ms. Figueres vows to be back on track by Warsaw. The bad news is that there are very few “good guys” involved. The UN climate talks have become a place where radical ideology trumps science, consensus is gaveled into policy with little regard for due process and the nations of the world are bribed to go along with handouts of other people’s money. Who do you suppose worked for the money that everyone at the UN is so anxious to redistribute? Craig Rucker is the executive director and co-founder of CFACT.